In a 16-year career spent with Chelsea and Southampton, Peter Osgood made 560 appearances, scoring 220 goals and winning two FA Cup winners medals. 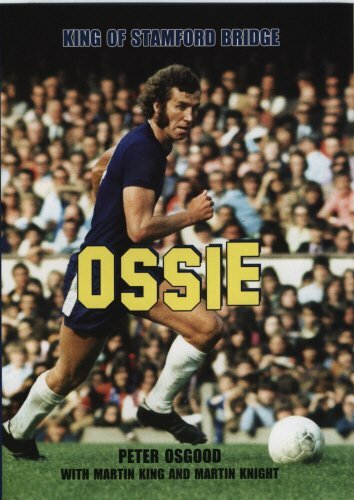 <i>Ossie</i> tells the story of the career and the extraordinary rollercoaster life of the man who spearheaded a team that made as many headlines off the field as on. It looks at the hard-drinking and hard-living antics of these Kings Road dandies&#x2014;Hudson, Cooke, Baldwin, and company. Osgood also tells of his strained relationship with manager Dave Sexton which resulted in him and other stars leaving, triggering a decline in Chelsea FC's fortunes that took some 20 years to reverse. He tells all about his dalliance with Raquel Welch and other female icons of the 1970s, and is brutally honest about the challenges and problems faced by ex-footballers as they attempt to adjust to life in mainstream society. Martin King and Martin Knight are the authors of the best-selling terrace culture classics Hoolifan and The Naughty Nineties.